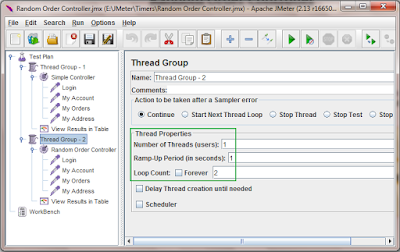 Random order controller in apache jmeter is used to execute requests of jmeter software load test plan in random order. This is the only difference between simple controller and random order controller. 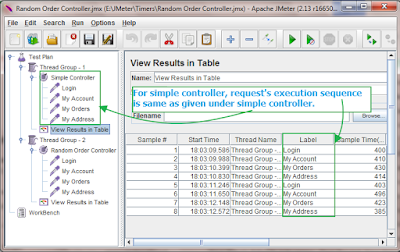 We will learn usage of random order controller in jmeter software load test plan with example. 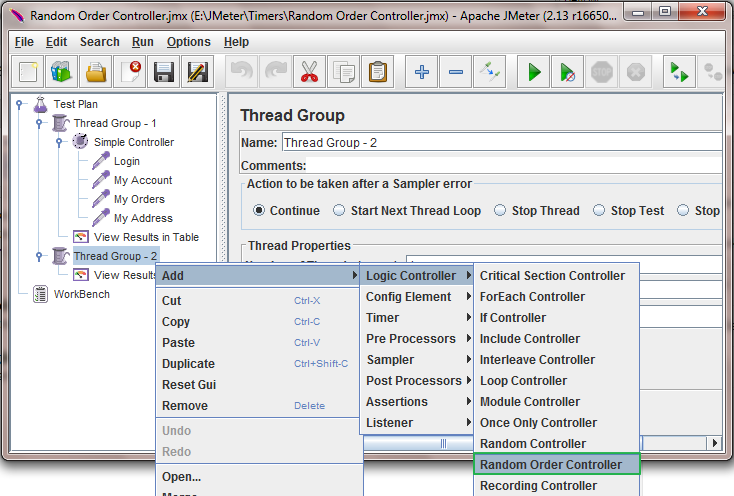 Right click on your Thread Group -> Add -> Select Logic Controller -> Random Order Controller. See below given image. 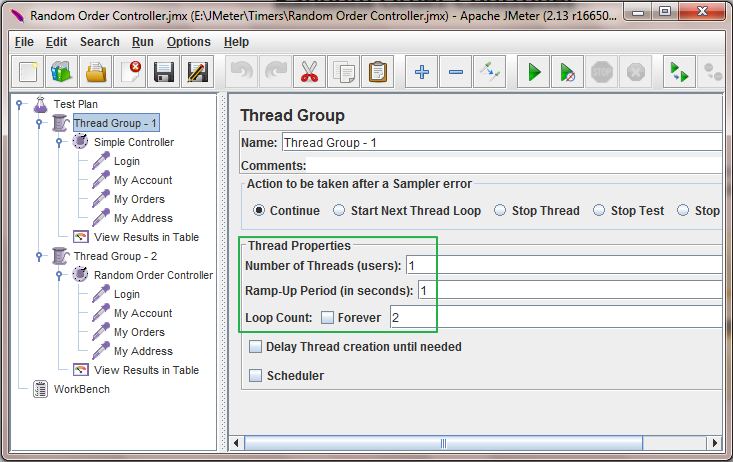 It will add random order controller under thread group. 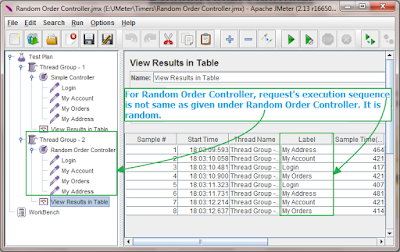 I have prepared very simple example which can demonstrate you usage of random order controller. 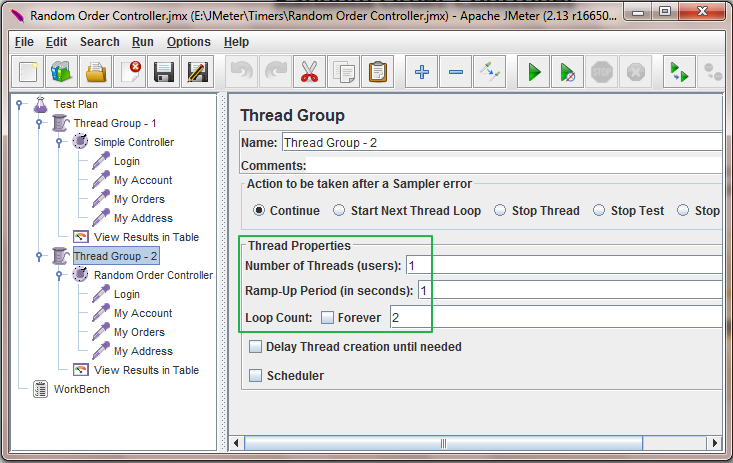 I have 2 thread groups with same configuration(Number of Threads = 1, Ramp Up Period = 1 and Loop Count = 2). 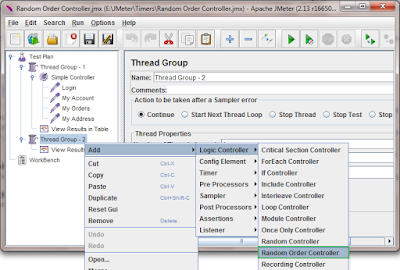 You can see that 1st thread group has Simple Controller and 2nd thread group has Random Order Controller. 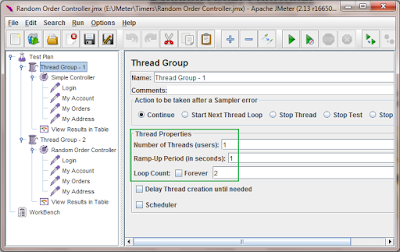 Two thread groups are used to demonstrate you actual difference between simple controller and random order controller. 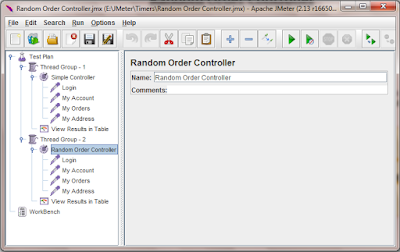 No need to configure anything in random order controller. Now if you run above test plan, Result of first thread group will looks like bellow. 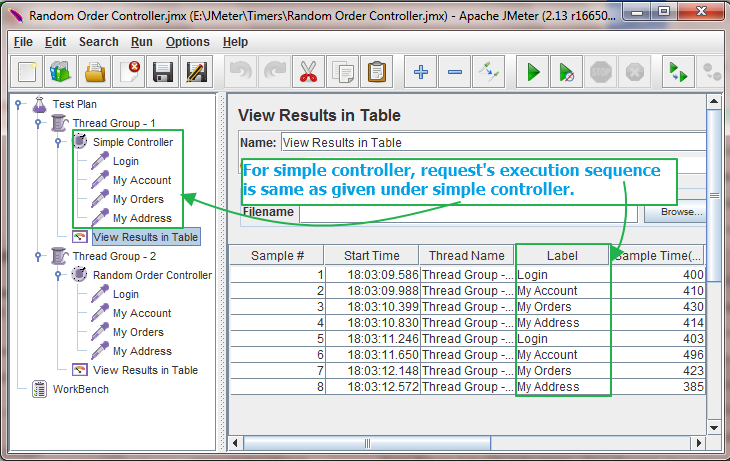 In result you can see that request's execution sequence for thread group 1 is same as given under Simple Controller. 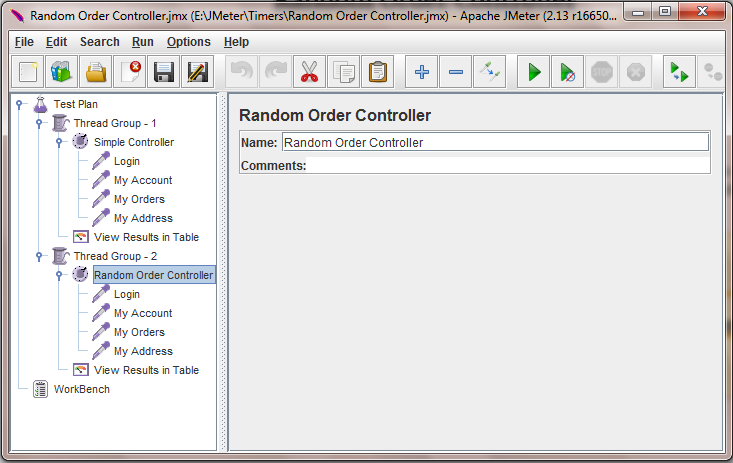 But for random order controller, It is random. 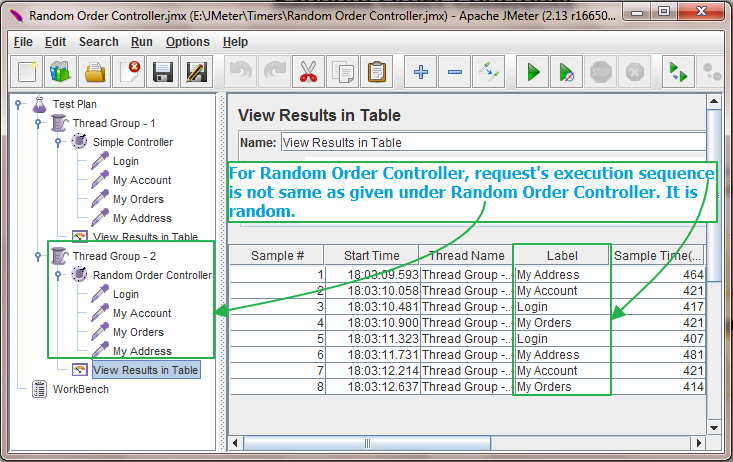 This way, Random order controller will execute requests of software load test plan in random order.